Free Shipping Included! 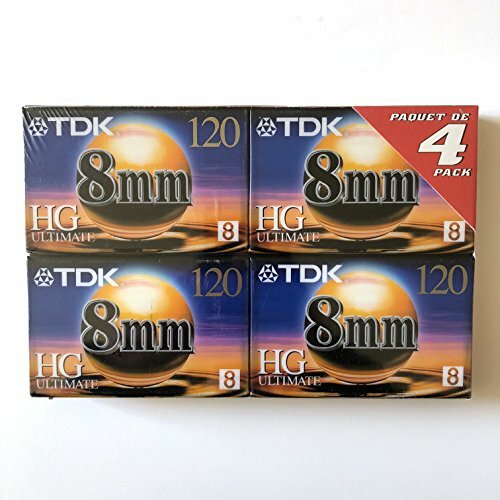 TDK HG Ultimate 8mm 120 Hi-8 Camcorder Videotape - PG-120HG - Pack of 4 by TDK at EISF. Hurry! Limited time offer. Offer valid only while supplies last. The Ultimate 8mm Camcorder Video Tape. This 8mm video cassette is recommended for use with video equipment identified with the 8 symbol. Maximum picture and color detail in widest range of camcorder lux ratings.